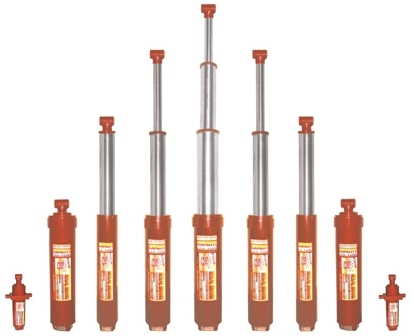 All Hydraulic Jacks are tested Hydraulically as per IS specifications. Using Cylinder tubes are manufactured from cold drawn seamless tubes, having required surface duly finished to ensure longer life of oil seal. specially graded PU oil seal to resist high fluid pressure. Nuts for Cylinder and Piston are made of steel, having high tensile and sheer strength. All parts are replaceable and accessible.